The beautiful Eternity of Love ring from the Thomas Sabo Sterling Silver collection is a romantic gift for someone special. 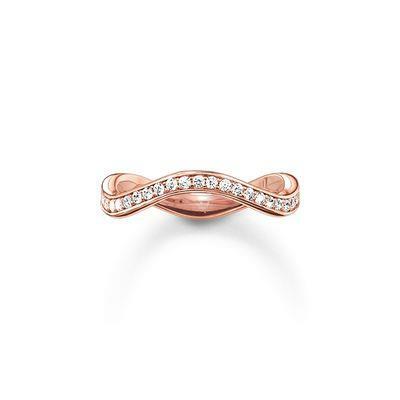 This stunning design is a Sterling Silver ring beautifully plated in 18ct Rose Gold and cut into chic wave design. With a row of sparkling Cubic Zirconia stones, this fabulous ring glistens as it wraps around its wearers finger.